Made in the form of a Dutch bombé clock, the style and hallmark of this watch stand indicate it was made in the Netherlands in the 19th century. A great deal of fine workmanship is packed into its 10½-inch-tall body, from its cherub finials to its claw feet. It sold for about $550. Photo courtesy of Skinner Inc. This simple early to mid-19th century folk art watch hutch was handcrafted in wood with a dovetail detail. In excellent condition with its original red paint, it is a stunning example of American folk art. It sold for more than $7,000 at a Skinner auction in August 2015. Photo courtesy of Skinner Inc. Imagine an elegant pocket watch suspended in this Sunderland Lustreware watch hutch manufactured in England in the early to mid-19th century. 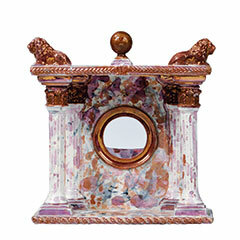 The glazed earthenware piece has a marbled pattern in the pink and copper hues that characterize Sunderland ware. 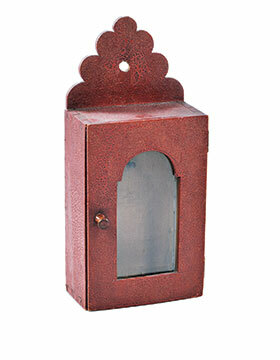 About 8 inches tall, this piece is charming even with a few chips and imperfections. It sold for just over $300 in 2013. 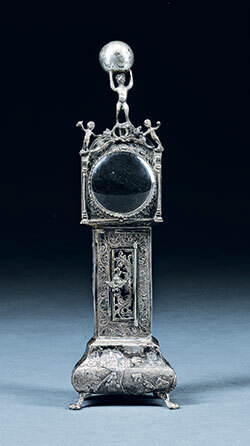 Many watch stands resemble tall-case clocks, such as this one hand­carved in the United States in the early 19th century. At nearly 12 inches tall, it would have stood on a mantel, a desk or a bedside table. It sold for nearly $2,000 in 2014. 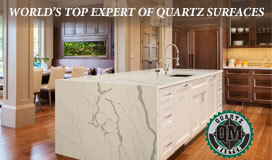 Photo courtesy of Skinner Inc. There was a time when everyone owned a watch stand. Caring for a pocket watch in the 18th and 19th centuries could be a 24-hour-a-day proposition. Watch owners didn’t mind the effort. An object so useful, so beautiful and so finely crafted deserved proper treatment. Thus, after days hanging from a watch chain, it was fairly common for a watch to spend its nights nestled inside a soft, padded watch pocket that dangled from the curtains or a post of a four-poster bed. More interesting, and certainly more decorative, was the watch stand, or watch hutch, a tabletop object devised specifically to hold a pocket watch when it wasn’t being worn. “It’s an object with a very esoteric use that, once you understand it, falls into the category of a conversation piece,” says Chris Barber, deputy director of American Furniture and Decorative Arts at Skinner Auctioneers in Massachusetts. “We [at Skinner] all like them because they’re such interesting personal objects with such a singular utilitarian purpose. “Watches run more accurately when they’re hung,” Barber explains. “A watch hutch kept the watch safe. It also provided an extra layer of protection from dust and soot.” Placing a running watch on the hard, flat surface of a table or mantel wasn’t recommended because the vibration of the watch housing against a hard surface could cause its internal works to falter. Tucking the watch under one’s pillow at night (which many people did) also was not the ideal way to care for it. An English ladies’ magazine of the 1850s stated the watch stand was “one of the fanciful ideas of the French.” Although it’s not certain that watch stands originated in France, the idea seems reasonable given that France was known for producing fine watches. The French magazine La Nature in 1901 put the origin of the watch stand—called a porte-montre in French—in the late-17th or early 18th century. It noted the popularity of watch stands reached a peak during the reign of Louis XVI (1774-1792), ebbed slightly during the French Revolution and revived during the French Empire of Napoleon (1804-1814). Watch stands certainly were common in England, throughout Europe and in the United States. There’s a record of ormolu watch stands being part of the “elegant assortment” of objects for sale at “Mr. Christie’s auction room” in London in 1772. A Miss Rebecca L. Prince of West Medford, Massachusetts, was awarded a papier-mâché watch stand for excellence in Latin recitations at the Mystic-Hall School in 1856. And an 1866 article about Alexander H. Stephens, vice president of the Confederate States of America, mentioned that he owned an embroidered one. Travelers brought home carved ivory watch stands as souvenirs from India, and sailors made scrimshaw watch stands from whale’s teeth. (There’s one in the collection of the Smithsonian.) The Staffordshire potteries in England produced lovely hand-painted china examples. An article about the Malaysian latex material gutta-percha mentions its usefulness for making watch stands. There are countless examples of elaborate watch stands made to resemble grandfather clocks, feminine watch stands in the shape of slippers and very simple watch stands handcrafted from wood and decoratively painted. In its April 24, 1858, issue, an English periodical called The Work-Table, the Lady’s Newspaper gave detailed instructions for crafting a flower-shaped watch stand from wire wrapped with yarn. 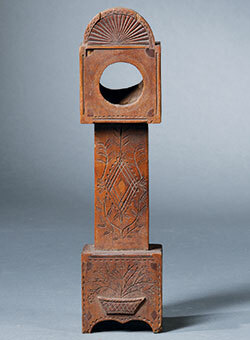 Indeed project patterns for making watch stands in all sorts of materials, from wood to velvet-covered cardboard, appeared frequently in 19th-century magazines for women and children. They were popular gifts, verging on ubiquitous. Then they all but disappeared from use, as fashion changed with the introduction of the wristwatch in the 20th century. Leslie Gilbert Elman, author of Weird But True: 200 Astounding, Outrageous and Totally Off the Wall Facts, writes about antiques and other subjects for Design NJ.